Just as the Plymouth School District is infusing more Science, Technology, Engineering, and Math into its curriculum, it also is offering more STEM-related extracurricular options at all levels. A team of Parkview students builds a moon base using Legos. Students at Parkview Elementary School are participating in the First LEGO League Jr. challenge, thanks to a $4,000 grant provided by the Plymouth Education Foundation. Each year, First LEGO League Jr. presents a new and exciting challenge to ignite the creativity of elementary-aged children. This year’s challenge is Moon Mission, prompting teams to explore and research what they would need to live on the Moon. Teams of three or four Parkview students began exploring this real-world theme in mid-October with a LEGO Education Inspire Model. Teams also documented their work in an engineering notebook and on a team Show Me Poster at the school. They wrapped up the experience on Jan. 8 by sharing their Lego moon base and programmed robots with their families. A new group of students will get the chance to participate during the second semester. “The First Lego League Jr. program emphasizes research, teamwork, construction, and imagination. It is a great way for our students to investigate and problem-solve using a real-world topic, and at the same time explore the possibilities of future careers in engineering, design, and computer programming,” said Coach Shelly Taylor, media specialist at Parkview. Members of the Horizon Number Ninjas Math Club work on a Suduko number puzzle. The new Horizon Number Ninjas Math Club meets monthly after school and is open to students in kindergarten through fourth grade. Funding is provided by a $700 grant from the Plymouth Education Foundation. The lessons use interactive puzzles, games, breakout boxes, and other activities to stimulate, challenge, and entertain students. Many of the topics are from areas not normally included in elementary classroom mathematics. Each month the club experiences a game-based setting that takes its objectives from one of the Eight Mathematical Practices considered the foundational skills for students to be mathematically proficient. The first meeting, for example, focused on making sense of problems and persevering in solving them. After a quick snack, the club members watched a clip from the movie “Meet the Robinsons” in which a child inventor showcases a new invention at the dinner table only to have it fail miserably. Instead of the expected reaction of disappointment and failure, the family celebrates with singing, dancing, popping confetti and raising banners. “The clip highlighted what is to be expected during our club meetings: that mistakes are celebrated, expected, and – most importantly – learned from,” Mrs. Gehri said. The group then warmed up with a Suduko number puzzle together to make sure everyone knew how it worked and to identify strategies that could be used to solve it. The members then were placed into mixed-grade groups and given a unifix suduko game, which worked on spatial reasoning, problem solving – and perseverance. “At the end of the meeting we discussed what worked, what didn't, and what we learned during the game that changed our strategical reasoning,” Mrs. Gehri said. STEM Girls Rock visited Lakeland University to investigate STEM careers and activities. STEM Girls Rock provides girls in grades 5 through 12 with opportunities to experience STEM activities and explore related careers. The club meets almost every month, alternating between Riverview Middle School, Plymouth High School, and field trips. For the fall field trip, about 20 STEM Girls toured the Lakeland University Chase Science Center, played an escape room game and Minute To Win It-style STEM games, and listened to Lakeland students and alumnae describe career pathways. Another field trip is planned for Thursday, Feb. 7 to Acuity. Any interested girls in grades 5 to 12 should see PHS teacher Kay Tharp or Riverview teacher Alexa Piskule as soon as possible to get permission slip. STEM Girls Rock was established in 2017 by Mrs. Tharp and advised by Ms. Piskule, who graduated from Lakeland in December 2017 and now teaches STEM courses at Riverview. It continues to be run by Lakeland girls majoring in STEM fields who wish to mentor younger students. It is led by Lakeland junior Shyanne Koski and advised by Mrs. Tharp, a Lakeland graduate. The Plymouth Education Foundation provided a $600 grant to STEM Girls Rock. Providing more extracurricular opportunities is called for by the Plymouth School District Pillars of Excellence strategic plan for Extracurriculars. The Board of Education has established four Pillars of Excellence – Academic Excellence, Extracurriculars, Community Engagement, and Financial Responsibility – as key principles that distinguish the district and advance its mission. Each Pillar has a strategic plan that identifies desired Future States and initiatives for the next three years. All Plymouth School District students will take part in at least one extracurricular activity on an annual basis. 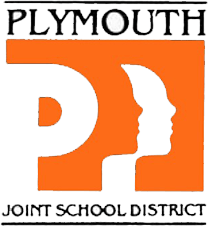 The Plymouth School District will be the hub for coordination and communication about extracurricular activities for the Plymouth Community. All faculty and staff will be involved in extracurriculars to leverage student achievement benefits and increase community engagement. Implementing additional participation opportunities and analyzing impact to participation rates among all students. Assessing the impact of social media and web presence and adjusting for current trends and demand. Assessing the impact of the K-4 extracurricular clubs for addition as a paid extracurricular position. Beginning a comprehensive upgrade of facilities as indicated via board and public input. Continuing to partner with all public and private community extracurricular groups to provide coordination and communication in a central location. Proceeding with continual improvement of faculty and staff. • Visit the Pillars of Excellence webpage to learn more about all four Pillars of Excellence.